Boost creep is when boost pressure rises – or “creeps” – above the optimum level. 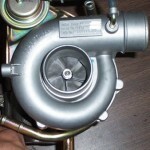 It occurs when the wastegate, although fully open, may not bypass enough air to maintain the optimum level. Boost creep usually occurs at high rpm, when the boost is highest. Shaft play is a side-to-side looseness – or play – of the turbine shaft, caused by worn shaft bearings. This results in the shaft, turbine blades or compressor blades making contact with the housing. It usually can be identified by a whine or buzzing noise. 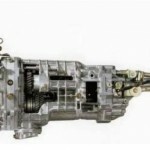 Turbo whistle occurs when the throttle is lifted at or after full boost. It is caused by the compressor side of the turbo experiencing aerodynamic instability. This is the result of incorrect settings or controls and normally only occurs with add-on turbochargers. Soak occurs when the intercooler isn’t able to adequately dissipate the heat from the turbocharger and becomes ineffective. This condition can occur for a number of reasons: problems with the intercooler, plugged fins, inadequate cooling air inducted to the intercooler, or high ambient temperatures.